Yin Yang T-Shirt Skirt Women's Size L XL Handmade Upcycled One of a Kind Item by Twinklewear at Nicky's Blog. Hurry! Limited time offer. Offer valid only while supplies last. 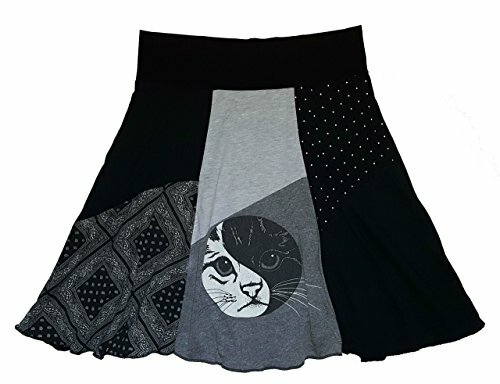 This one-of-a-kind creation featuring a yin yang cat t-shirt was made completely from excellent quality, carefully-chosen and gently-used fabrics.